SEO is basic! Perfect post titles could is inevitable, same as the many incredible things that are practically unachievable when running a popular blog on the blogger CMS (blogspot) platform. For you to have moved to a self hosted WordPress CMS platform on it’s own is a total consonance to my own view and opinion on the blogger blogs. I am the kinda guy that will never argue on which of this two platform (blogger vs wordpress) is better. There’s no point needed to prove to even a simpleton that self-hosted WordPress blog is better and more esteemed than the traditional blogger blogs. Blogger blogs (both blogspot ones and those on custom domain names) without any exemption is just too archaic, too traditional, too Orthodox and complex for any likely popular/famous blogger to go with it. Now you have agreed with my view on blogger blogs right? Okay! you want to move your blog over to wordpress right? Even if you have already moved, you’ll need reconsider the steps you took while moving and check if they’re in tandem with these 9 tips below: else, you might be losing valuable backlinks, traffic and those social media signals from friends and/or blog audience. These 9 SEO practices for retaining your blog traffic, backlinks, facebook likes, tweets and other sharing counts will help every one who moved or would like to move from blogger to a self-hosted wordpress website. Core Practices: If retaining your blog traffic (alexa rank), social like and shares, individual post and pages rank, page authority and external backlinks is of any importance to yo;u then you’d have no reason ignoring this part I termed core practices. This is a very important action to take after moving your blog away from blogger, continuous crawling and indexing of your old blog can lead to both blogs disappearing to oblivion since google hates seeing duplicate contents as much as we hate copy and paste bloggers. You can achieve this by using the Meta-robot tag “NOINDEX, NOFOLLOW” . Google and every other search engines out there will stop indexing or following your blog immediately they see the tag. No doubts many will still have your old blogger (blogspot or subdomain) address saved in their various browsers and needs be notified you have upgraded to a superior platform without you posting about it. Code Interpretation: The code will automatically redirect all hits from your old blog to your new blog url after 5 seconds, you can increase the time by changing the “5” with any value of your choice or replace the 5 with “0” if you want them redirected immediately. Don’t forget to change https://www.3ptechies.com with your new blog address. You may also opt for the better codes generated by Blogger 301 Redirect plugin. It no-indexes the old pages as well as 301 redirect posts to same version on WordPress. Just like when an insane man is treated newly he will still possess some of the characteristics of a mad man, this is how it is after moving away from blogger to WordPress. The stigma that characterize the move is making sure that your new URL structure (permalink) appears same as your old ones, so as to preserve those backlinks and pagerank. into the box provided ==> hit the “save changes” button after that. This is a big error that most websites do face after migrating their blog to WordPress, you will notice that mobile traffic from search engines would normally lead to a redirect loop error or error 404 screen. Sometimes, even entering yourbloggerwebsite.com/?m=1 manually would manually pop the error which brings about the little hack below. To correct or prevent this error, you will need to add the following code to your .htaccess file and save thereafter. Note: .htaccess file can be found by going to ==> Cpanel ==> file manager ==> show hidden files ==> right-click on .htaccesss ==> select code edit ==> paste the code above # BEGIN WordPress. This is important mainly ‘cos blogger doesn’t store your comments after switching to intense debate comment system. Luckily the developers over there at intense debate has come up with a clear guide and a wordpress plugin that makes migrating your comments from blogger to wordpress so easy, smooth and effortless. Luckily a kind enough developer has come up with a PHP code that will effortlessly correct your wordpress permalinks to look exactly like it was on blogger correcting those error 404 messages you get when visiting your blog post from search result immediately after moving to wordpress. Even after applying the custom code format I gave you above you still need run this code to fix up stuff for you. => Once you get the message “Done” your blogger to wordpress migration woes is now over, you can start enjoying your life as a matured blogger. Note that this point 7 is only necessary if you have not been using feedburner as your default service for handling post and comments feeds while still on the blogger platform. Extended Practices: This is the second part of our 9 tips for retaining traffic, social media likes, audience and backlinks. As already stated above you are free to ignore this part as it isn’t included in the part we termed core practices. Surprises are great, isn’t it? Your loyal readers might be wowed at first visit, after seeing your brand new look, they will be piled up with may questions in their minds such as; where the hell is that archaic & awful comment form and the likes. This is one of the reasons you might be tempted to tell them about your migration. Telling them about your migration might also increase your traffic as most of the eager ones among them will force their social media fans and friends to take note of the new development in your blog. Some of them will go as far as linking to it in their blog post or even blogging about it (if you are that popular). Rajesh Namase of techlila.com did write something catchy about the genesis framework the week he moved up there, same as Brian Gardner of briangardner.com. This might sound funny, but you ‘ve got to agree with me on this! Not even in the dreamland will you spot any blogger from among the top 100 bloggers in the world using blogger CMS (blogspot) for their post publishing, not even in the top 200 from my view point. Lack of funds for running a traffic intensive blog is one thing that has prevented many from moving to self hosted wordpress blogging platform. Many do complain of the likely extra payment for premium caching plugins and Content Delivery Network (CDN) system for their blogs to be the main discouraging factor. This is why you can hardly see any top blogger using blogger CMS for their blog except in most third (3rd) world countries. Now that you have taken the bold step of buying a host, paying a designer, and the other services that requires money, don’t you think it’s the right time to get back your money? Well, getting back your money is so easy, start by referring a close friend to your new host for up-to $$ and above per referral for any of the top hosting companies or even more for other hosting providers. You can also promote other products relating to migration such as Maxcdn, WordPress themes, premium plugins and Social warfare plugin (that retains your social media counts irrespective of http, https, /%category%, /%author% or whatever URL permalink changes you’ve done in the past). I am done with this 9 tips which if followed discretely will help in retaining your blog traffic, as well as reducing your blog’s bounce rate. I am asking for your views, opinion, and questions relating to blogger migration, WordPress migration, Server migration, and etc. Please do get them rolling by using the comments section below. You can also share this page with your friends or social media fans that just migrated from blogger to WordPress or planning to do so. Are you saying these are the steps you went through before you could move my blog from blogger to wordpress? Bro kudos to you, and I really appreciate your effort in taking your time to help me out. You are wonderful sir. Thanks for dropping by Adesanmi Adedotun, I really do appreciate your kind words, not only did I do this on your own blog but also practice same tips for every other blog I have migrated in the time past including one of my colleague’s blog I migrated late 2011. It is something that has grown to be a kinda tradition except the blog is new and doesn’t want to be stigmatized with those kinda blogger-like url structure (permalink), or doesn’t have much interest in the social network sharing icons count. Nice post brother, I personally do not agree with you on the term “archaic” because blogger is improving by the day and like blogger, wordpress has it’s own woes. However, I love the way at which you stated each of this steps and I think it will do a lot of good to blogger who want to port to wordpress, or won’t it? Lastly, I would love to emphasize on the second and third step, though all the steps are very important but in my opinion, I think those two are the most vital ones: a must do for anyone who is porting to wordpress! Can you quickly name 5 top blogs from the 1st world countries that are still running on the blogger platform? Hopefully this is not another blogger vs wordpress altercation, but just trying to demystify the self ambiguated notion by some bloggers from 3rd world countries. In my opinion, there is a huge difference between blogger and wordpress and they shouldn’t even be compared. Inasmuch as wordpress remain the best blogging cms, I do not think that the blogger platform should be criticized (‘archaic’) and yes, if you want list, I can give you 50 top successful bloggers that uses the blogger platform. Thanks anyway for the quick reply, it is always a pleasure reading your blogs. Excellent Tip, I remember being burnt out completely when I finally decided to make a switch. It was worth the effort tho. On the argument about Blogger or WordPress, I listen to both camp and most of the time, people use the “unlimited bandwidth and it being free” to buttress their point. But the point is this; Blogger platform is fantastic, it is the best alternative when you are only interested in basic blogging. Not that you can’t achieve alot of things currently available to WordPress, but you will spend 11-times the efforts dealing with “HTML and Tables” to guarantee any form of success. Why allow stress when you can achieve same with a few clicks under 11-seconds in WordPress? If you do basic blogging and write about your self, Blogger is fantastic, but if you want to be seen a professional, and write complex stuffs like Reviews with requires Review tables and lots of output, then WordPress is the only alternative. Thanks for dropping by and also for the wonderful contributions you have made on this post Nosa E Nosa, I share same view with you about how insane it could look trying to achieve every complex thing while using the blogger platform. The only decent blogger powered site I have seen so far is owned by a top programmer who has several other wordpress powered sites too. So I think you are right about blogger being the favorite platform for beginners, after-all migrating to wordpress or similar CMS platform can be done effortlessly and in less time too. I do have many get to find your contribution so useful, do have a great weekend buddy. Thoughtful post here and kudos for writing such a long post. Personally, I do think it’s better to begin with blogger and later move to wordpress and that’s what I’m planning to do later. Thanks for the effort. You are right about that Olumide, bloggers who do post only news and jokes could continue for life on the blogger platform but never for a webmaster or advanced tech-blogger who needs more power to express himself. You do not have to go to the codes to implement a command instructing Google not to index the blog anymore. Simply go to settings, then search preferences, to custom robots header tags and chose noindex for all options. Thanks for this timely contribution Dare, you have really save somebody the stress of implementing that code, it ‘ve been years and google has kept improving a lot of things, never knew the option was even there. Thanks for rating the post as nice too . I currently like my blogger set up and haven’t made any plan at all for moving, thanks for sharing anyway. Just thinking of migrating my blog from blogger to wordpress.It’ll help me then,thanks for this tips,very helpful. I wish I understood this. I have a wordpress (.com) blog but it is not my website (because my website has a shopping cart). I use it once a week or so, but I certainly have no reason to believe it helps or hurts SEO. I don’t know what a ‘blogger” is, except a person who blogs. (isn’t “blog” a noun and “blogger” a verb?) So I guess this is a bit advanced for me. Hi Tina, blogger in this very post is referring to a free blogging platform providing by google while wordpress here is referring to a blog hosted by owners by themselves using the wordpress.org official software. I am sorry that you have to stress yourself this much. We migrated to wordpress a few months ago… it was painless. Wow! Rob, great hearing that you were able to do that painlessly. those tips are great for retaining traffic on your blog- thanks Obasi! Great post – I like wordpress too, and it’s great to see you helping people to move across. Those steps are such a wonderful one. Actually i’ve been planning on how to switch to wordpress anyway and your post is definitely going to be of help. Word press are really ruling blogging now i must confess. Thanks. You are indeed an expert in this industry, more grace to your elbow my brother, keep doing what you know how to do better, i love that. I just landed on your blog & it’s very helpful for me… Thank you for this walkthrough!!! Just followed all the things and have to say that’s a great article. I have managed to migrate my blog of over 170 posts to a new one and not lost anything. Everything moved over fine. Quick question – When I was moving my blogger blog to a WordPress theme that does not allow me to have my blog on my homepage or index file. The theme is designed for the blog to live in a separate folder [site[.]com/blog]. Is this putting my blog in a subfolder will mess up my SEO or blog feed? I do not have a feed burner account so am I correct to assume that my subscribers are using Atom for the feed? You will need to either update the feed address section under blogger dashboard ==> settings ==> others ==> to point to [ mysitedotcom/blog/feed) or burn the feed with feedburner and setup the redirection for both blogger and WP. When I open up my “edit html”, I don’t see what you’re showing here. I’ve already made the transfer about a month ago. And as I am html/web challenged, I am afraid to even touch anything. What exactly should I do to get to the window of #1 on this post? I’m trying to figure out where the issue is of why my traffic has dropped drastically since the migration. Headache! Great Info you have here. I have 2 questions that I will need your expert advise….. There is info from NameCheap regarding replacing the html template on Blogger with another code sets, how do we use this no index code of yours? I’ll advice you use the codes from blogger 301 redirect plugin instead. Remove the custom domain name on your blog and allow it to load from .blogspot, then install the plugin above and replace your blogger html template codes with the one generated by the plugin. This way you can monitor links redirected and can confirm that every thing works as should. -Is it still ok to replace the above code provided from your that can resolve the 404 issue without causing any other problem? You can replace the redirection part with the code from # Begin Redirection to # End Redirection. Installing the permalink finder plugin would help you obliterate further error 404 issues. I can send you the latest version of the plugin as the one in WP repository haven’t been updated for long. Apologize for replying til now. Been caught up ina very busy schedule. 1) Anyway, do send me the latest version of “permalink finder plugin”. 2) Also, regarding the html replacement part. The truth is, I had actialy already migrated the site o wordpress, (Do know that the blog is already on a custom domain on blogger. Is it too late to do the html replacement? The problem is is is a live site and we cannpt afford to put in down at the moment. I’ll attach the plugin to this email address. Number 2 is still important. 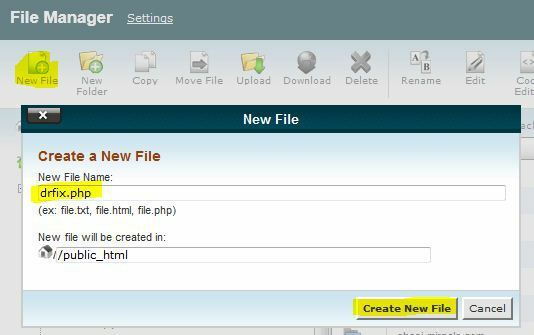 Remove the custom domain name from blogger (it doesn’t affect anything) and replace the template codes with the one generated by the plugin. This way, proper redirection is handled effectively without blogger’s redirection notification prompt. Got your plugin. Thanks. You are really amazing! 1) Will be doing it in late hours so it will nit disrupt my friend work on her migrated blog. Just to be clear, once this step is done. People visiting any old pages from blogger will simply direct to the new wp pages, am I right? I had added the code on [#9 Fix Redirect Loop for Mobile Traffic]. Here’s what happened on Google Search Console. i) “?m=1” error still exist however, when I click on the link, it do sucessfuly goes to the right page. Guesses it may take some time until Google recrawl it. However…. ii) I also find “?m=0” errors which whe clicked do become a 404 Error Page? iii) Search link that look like this…. The posts would be 301 redirected to the same version on WordPress. Activate and set up the correct options for the permalink finder plugin, and then clear all 404 errors from Google webmaster’s dashboard, update the sitemap URL with the one generated by this Yoast SEO plugin. Connect the plugin to your Google webmaster’s account via the console section and redirect any other 404s detected to their respective pages. But in most cases, the permalink finder plugin would reduce such to almost zero.